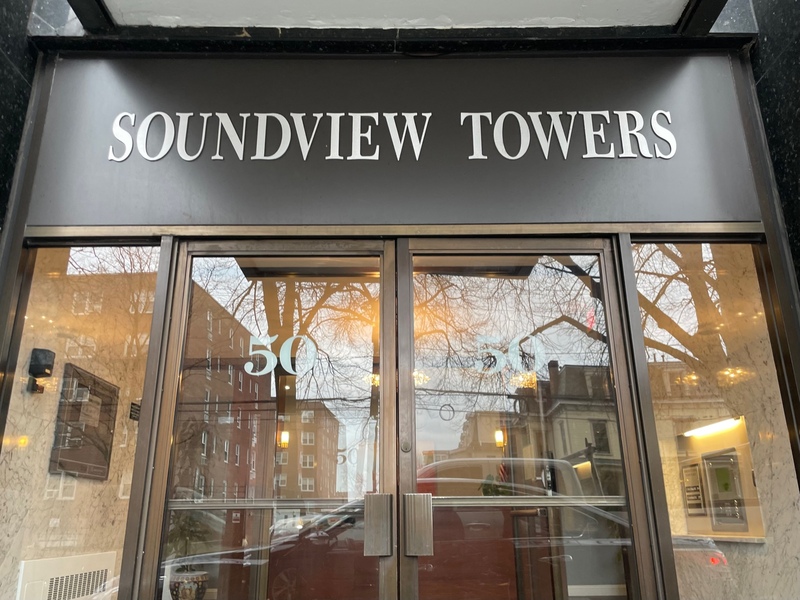 Located in the Stamford, Connecticut, Soundview Towers is a luxury highrise condo complex noted for spacious interiors and featuring pool, gym, and doorman. Located minutes from downtown Stamford, Metro North commuter rail and local transportation offers and easy walk to retail shops, restaurants and easy access to boating, beach, tennis and golf I-95, Greenwich, Darien, Norwalk & Westport. Soundview Towers Condos in Stamford, CT has a total of 132 units offered in 1, 2 and 3 bedroom units. All within the ambiance of Fairfield County, Connecticut and convenience and life style of Stamford.